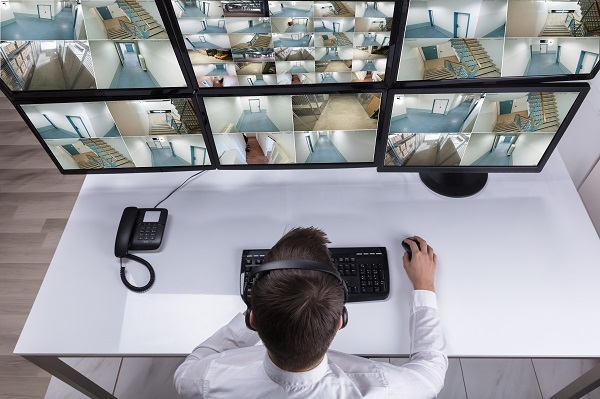 The monitoring industry has been undergoing some positive changes over the past few years, broadening the scope and role central stations play within overall security, specifically within alarm and video verification and response. A good example of this transformation is the recent renaming of the Central Station Alarm Association (CSAA) to The Monitoring Association (TMA). No one can deny the impact of DIY on security, and many of these security systems are professionally monitored or will need monitoring services, whether on-demand (more on this next) or turned on later when there is a need. As a person’s or family’s needs increase and change, and new smart home and security technology have already become widely available, such as Amazon’s Echo with Alexa, and similar offerings now from Google and Apple; security dealers need to try to understand the DIY mindset. Many in the industry feel that DIY is an opportunity for security dealers, as traditionally only 20 percent of homeowners have a security system, a number that has not changed much for decades but has begun to with emergence of smart home technology and DIY. The same customers—led by the Millennial and Gen X generations—that are attracted to all of the smart home technology out there today are many times the ones looking into DIY options and offerings, so don’t forget about this emerging sector of the security industry, whether you like it or not. Similar to DIY, offering on-demand monitoring represents a great opportunity for dealers to tap into a new customer base that may not be comfortable, at first, with a monthly fee for monitoring but is willing to dip their toe if there is an on-demand monitoring option offered to them. For example, a person who is renting may start by using the on-demand monitoring option a few times in the first year and increase from there, eventually becoming a full-time customer when they move to their first home. Likewise, someone who is just starting out in their first home may want to start with on-demand for those times when they are away for extended periods of time on business, as that is added peace of mind without having another recurring monthly fee to pay. The Partnership for Priority Verified Alarm Response (PPVAR) was established to educate all electronic security stakeholders on the value of video to verify alarm activity during the dispatch process and ultimately reduce false alarms and increase apprehension rates for burglar alarm customers. In addition to the cost savings and valuable time and effort saved from eliminating false alarms, not to mention gaining the trust of your local law enforcement and fire department, Folsom also looks at the many RMR opportunities available for security dealers in the area of video surveillance. As more and more families look to take better care of family members in the home, Personal Emergency Response Systems, or PERS, are continuing to grow in popularity. Plus, with the growth of mobile PERS, or mPERS, Baby Boomers, for example, who make up one of the largest and most powerful spending generations, can continue to lead active lifestyles late in life. According to a recent study by ABI Research, the market for monitored mHealth devices is on the rise globally, and by 2021 North America will be the largest market in the forecast period, with shipments rising from around 3.5 million in 2016 to nearly 12 million in 2021. The report looks at the rise in popularity of PERS and mPERS products, as well as activity tracking, fall detection and additional home sensors such as medication reminders, most of which are professionally monitored. 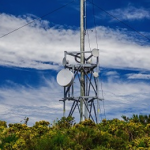 According to the study, the shipment of PERS devices will more than double by 2021, growing from around 2.7 million in 2016 to around 6.3 million in 2021, at a CAGR of 45 percent. Last year, Newport News, Va., went live with its ASAP program, joining other municipalities in the state of Virginia using ASAP, including as the City of Richmond, James City County, York County, and Henrico County. Newport News went live with eight alarm companies on Aug. 1, 2017. Virginia has 5 of the 27 nationwide. The state of Virginia has an ASAP grant program as well. Be sure to contact your local monitoring company to look at the expanding monitoring services available for dealers today. If you have a security business in Virginia or any surrounding states, feel free to give us a call.